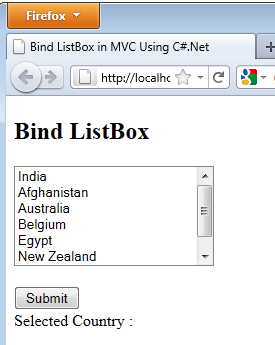 In this article I will show you how you can bind a liatbox control in an mvc application using C#.Net and VB.Net.In this I have used @html. ListBox control, C#, controller, model, Entity Framework, Linq query. 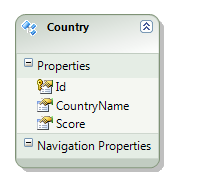 In previous article I have show you how to Bind DropDownList Using Entity Framework in ASP.Net MVC Using C#. Some of my previous article are as follows: Error : SQL Server Compact is not intended for ASP.NET development., Integrate and Retrive HTML Textbox Editor Value In Asp.Net MVC Using C#.Net, Display No of Characters Entered In TextArea Using jQuery, Multiple File Upload With Asp.Net MVC C# and HTML5 | How to upload files to ASP.NET MVC application, Display Alert Message on Page Load in MVC Application Using Javasscript. So for this article first we will create a new asp.net mvc application and ads model file in it. After creating model file add the below code in it. After creating model we will create the entity model. Now we will create controller. After creating controller we will create action view. In above code first we have created instance for entity model. 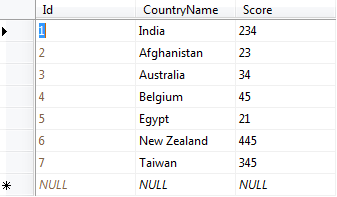 After that we have used linq query to retrieve data from the table. Now we will run the page to see the output. Now select the item and press submit. As we run our break point will hit. in this we will get the selected item value. Now press F5 to view complete output. Brilliant article. The information I have been searching precisely. 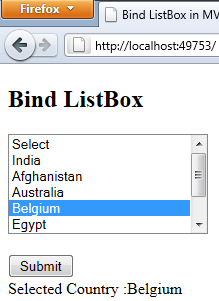 It helped me a lot, thanks for sharing these method to implement ListBox in ASP.NET.